San Diego home prices fell 0.2 percent in January for their sixth consecutive monthly decline, according to the influential Case-Shiller report released Tuesday. With the recent series of price declines, overall prices for homes in the San Diego metropolitan area are up just 1.3 percent over the past 12 months. San Diego was not alone. Prices fell in most major U.S. metropolitan areas in January, with San Francisco experiencing the biggest drop at 1.3 percent. 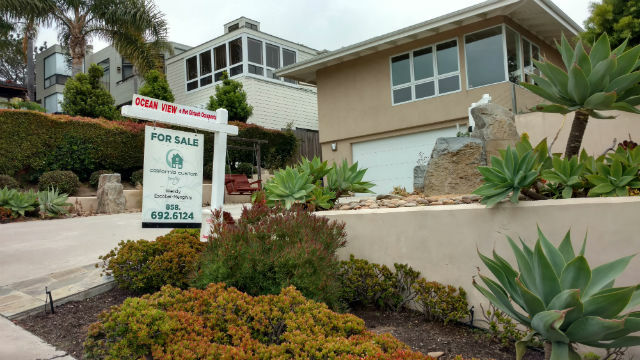 Sean Karafin, vice president of public policy and economic research at the San Diego Regional Chamber of Commerce, said a slowing in the growth of home prices is welcome amid California’s housing crisis, but stressed the need to build more units. “It’s encouraging that home prices aren’t rising as quickly as they once were. But our region is still burdened by costly housing that leaves San Diegans financially squeezed and with limited options,” he said. “With over half of San Diego’s renters burdened by high rents, we must remain focused on building more homes and improving educational outcomes if we want to meaningfully improve economic opportunity in San Diego,” he added.